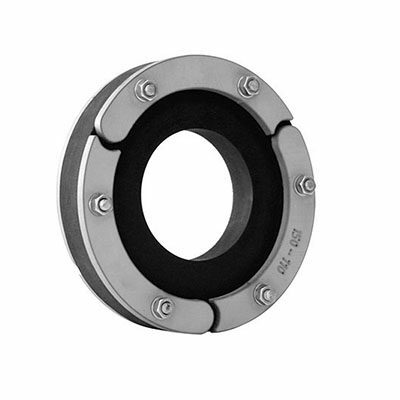 Our Pipe-Seal compact seals are designed for universal use in civil engineering in the sectors of power, gas and water distribution. 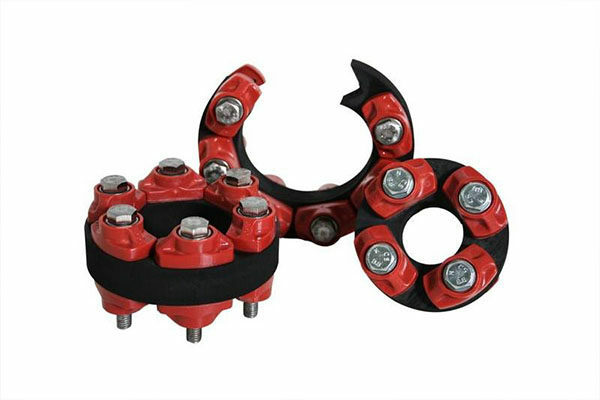 They are suitable for the sealing of pipes and core-drilled holes with any diameter and can be installed inside a wall sleeve as well as directly inside a core-drilled hole. 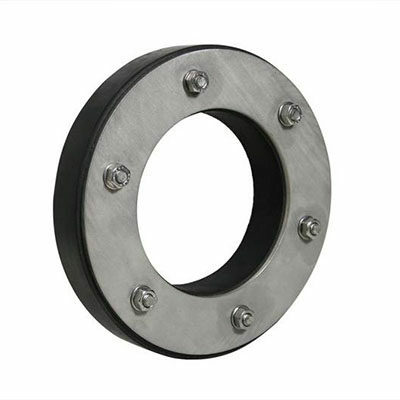 By tightening the screw nuts, the metal plates are pressed against the rubber seal ring, so that the elastomer ring expands steadily in all directions and reliably seals the pipeline. 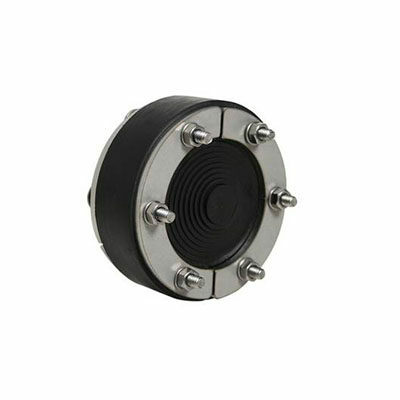 These seal inserts also provide guiding aid and offer acoustic uncoupling. Our Pipe-Seal Hybrid (PE) is a seal insert is a two-component construction with an external round frame of medium-hard solid rubber and an internal seal insert of soft thermoset elastomer. The medium-hard solid rubber core absorbs the compressive or pressing force and transfers and distributes the medium. 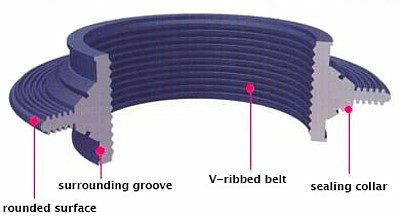 The soft inner ring acts as a seal towards the carrier pipe. 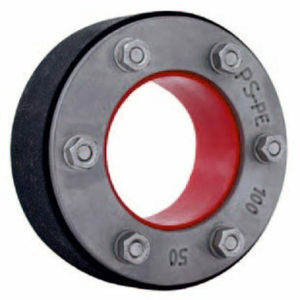 The extra soft seal insert adapts itself perfectly to the surface of the carrier pipe. High compressive or pressing forces are not necessary. A cold flow, which leads to cross-sectional tapering especially with polyethylene-(PE)-pipes, is nearly ruled out. 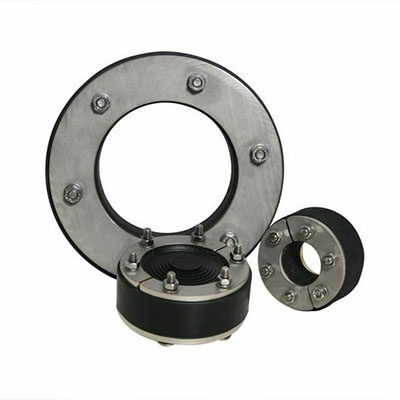 Even with a low torque of the screw connection, the seal insert sits firmly in the annular space (against pressing water and gas) as it adheres very well to the surface of the carrier pipe. The insert can be installed without any special tools (torque wrench) by visually inspecting the edges of the pressure flange (red bulge). Our Lu-SW building entry consisting of a compact EPDM elastomer ring and flexible segmental pressure plates will save you a lot of time and effort due to its split and custom-fit construction. It can be easily installed subsequent to the installation of the carrier pipe by simply opening the seal insert, putting it around the carrier pipe, inserting it into the core-drilled hole or the wall sleeve, and tightening it. It is not necessary to dismantle the carrier pipe beforehand. 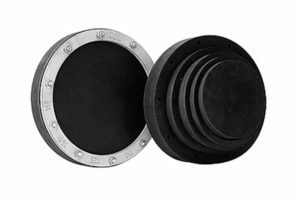 The pressure plates are furnished with a surrounding wedged rim which is forced into the elastomer ring when tightening the screws. This will transfer the starting power directly to the seal ring and prevent the rubber from oozing out at the sides or from under the pressure elements. The pipe penetration can be equipped with connecting elements made of galvanized or stainless steel on request. 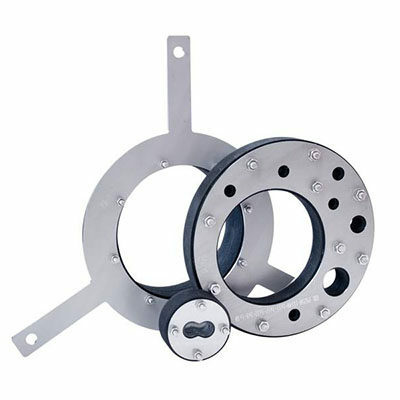 The wall collar provides a fast and easy way to lead pipes through wall penetrations in walls and base tiles. 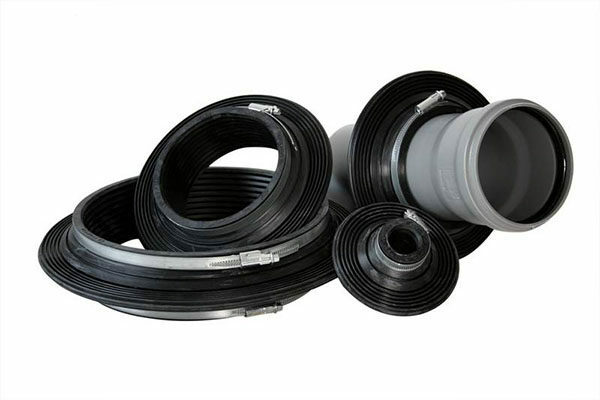 The elastomer collar made of high-quality EPDM rubber is moved onto the middle of the pipe and fixed with two tightening straps on each side of the collar flange by tightening the turnbuckles. If the different expansion coefficients of the wall and the carrier pipe result in a gap and water pours in due to capillary action, the wall collar will be there to interrupt and stop the route of the water. The carrier pipe equipped with the wall collar is shuttered and grouted. These pipe penetrations are tight against pressing water.